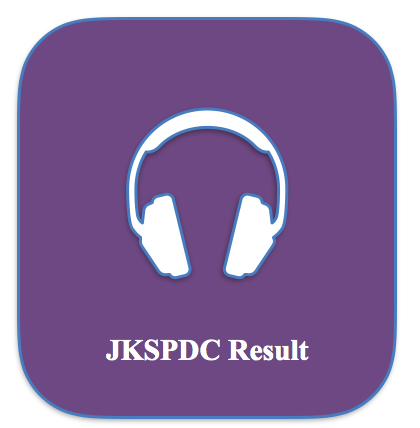 JKSPDC Result 2018 for Junior Engineer (JE) & Junior Assistants Updates: JKSPDC Junior Assistant Discrepancy List and associated notice has been published. Moreover, the authority has also said that the discrepancy list for JE Electrical, JE Automation, JE Instrumentation will be issued separately. Junior Assistants Discrepancy list – Click here. JE Discrepancy List – Click here. Check your score card – Click here. Earlier we have published a post on Previous Years Question paper for J&K SPDC Junior Engineer Exam (Civil, Electrical, Mechanical) etc. Applicants preparing for the exam, can take help from the papers. JKSPDC Geological Assistant and Surveyor (Geology) Result 2018 for Jammu and Kashmir State Power Development Corporation Limited will also be announced at the same time. The authority will issue merit list consisting of names of the shortlisted candidates. Category JKSPDC JE Result 2018. The result of the recruitment examination conducted by the Jammu and Kashmir State Power Development Corporation Limited is expected to get published shortly. The corporation is yet to declare the date of releasing the result. So the candidates are urged to keep an eye on the web portal: www.jkspdc.nic.in so that whenever there is any update related to the recruitment of JKSPDC Junior Engineer in the discipline of Civil, Mechanical, Electrical, Automation for BHEP and Instrumentation, Geological Assistant and Geological Surveyor is made, they can avail the information then and there. Click here for WBPSC Fire Operator Syllabus 2018. Jammu and Kashmir State Power Development Corporation Limited (JKSPDC) will shortlist apt candidates for the posts of Junior Engineer, Geological Assistant and Surveyor will undergo a few steps. At first there will be Screening Test for primary sorting of the candidates. Then there will be Interview conducted for each of the posts. The candidates scoring good marks in the screening test will only be called for the Interview. The ratio 1:5 is to be followed while calling the shortlisted candidates of the Screening test for the Interview. Which means for every vacant position, 5 successful candidates will be called in each category. While preparing the Merit list of JKSPDC for the post of Junior Engineer and Geological Assistant, the weightage of 65 points will be given to the marks obtained in the Screening test, 10 points will be given to their academic score(minimum eligibility criteria), 10 points for the additional qualification, 5 points for the highest qualification like M.Tech for J.E and Ph.D for GA, 10 points will be allotted to the Interview round. For the post of Surveyor Geology, the points division will be same for the Screening Test, highest qualification and Interview but 20 points will be allotted for possessing B.Sc in Geology. Check now JKSSB JE Merit List 2018. Any information related to the date and venue of the JKSPDC Interview of the selected candidates for the posts of JE, GA and Surveyor will be available on the website www.jkspdc.nic.in at the right time. The candidates will be able to check the result from the website putting their roll number, registration number. If you have forgot your application number you can check it from you Admit Card. Other wise please contact the authority on the official website. The Jammu and Kashmir State Power Development Corporation Limited (JKSPDC) has neither announced the cut-off marks for the Screening Test nor the Interview. The candidates will be selected for the appointment of Junior Engineer, Geological Assistant and Surveyor (Geology) on the basis of merit. The decision of JKSPDC will be regarded to be final. There will be separate cut off marks also for JKSPDC JE General Cut Off Marks, SC ST Qualifying Score etc. Log on to www.jobsandhan.com to know more on JKSPDC JE Result 2018. 76 marks obc category is it safe score for je electrical pls reply.